(with the notable dehydrated plums). Actually, all four ingredients have linguistic interest. … with a note on the pronunciation of botanical names. The crucial moment came in a re-run showing of the Rizzoli & Isles episode “Love the Way You Lie” (S3 E12, first aired 12/4/12), when the Boston detective (Rizzoli, played by Angie Harmon) and medical examiner (Isles, played by Sasha Alexander) pondered the significance of the fact that they had identified some pollen as coming from Solidago macrophylla, with the species name macrophylla pronounced /ˌmækroˈfɪlǝ/ (with primary accent on the third syllable). I was startled by the pronunciation: it’s Greek ‘big leaf’, so surely it should have the accent on the second syllable (as in thermometer, Hippocrates, etc. 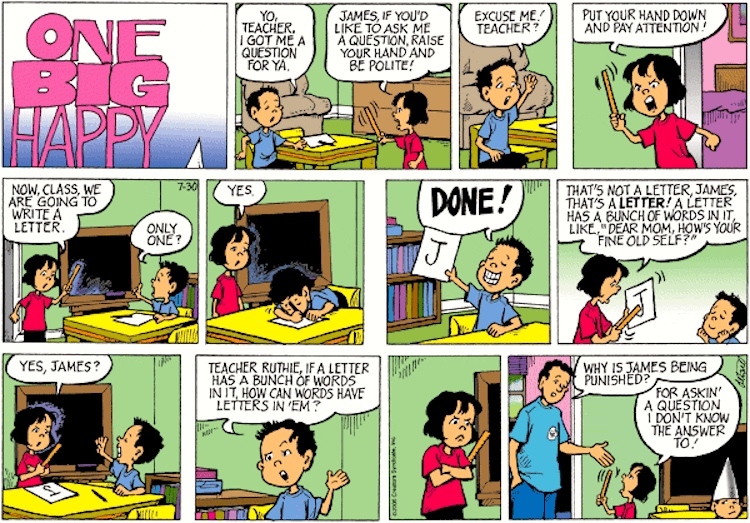 ), something on the order of /mǝˈkrafǝlǝ/, and the writers had just gotten it wrong. But no. The writers did their homework, and I was the one who was wrong. 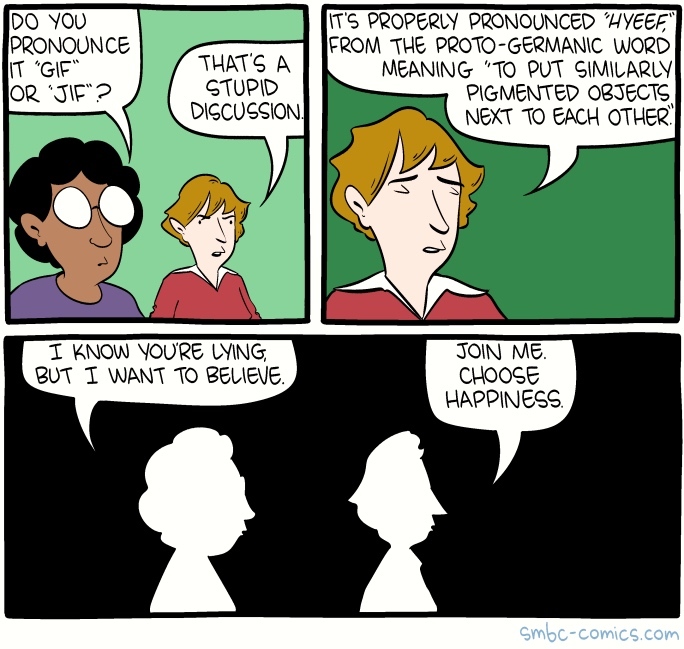 Yes, a stupid discussion, on several fronts. Plant news from my house, a song in silver, gray, and blue (and of course green). Freed from the confines of their little plastic containers from Trader Joes, they all set out to bulk up and spread over their new world, and almost immediately needed a bigger territory. That led me, eventually to the Turquoise Dish, where they live now, with some new gray sedum ‘Cape Blanco’ companions. Along the way I picked up a creeping lamium with silver leaves, which goes by the name ‘Lami Mega Purple’. Variety in foliage color, beyond nature’s basic green, is a developing theme outside my window. Coleus with red and yellow in their leaves; a Cordyline (ti plant) hybrid with bronzy-burgundy leaves; and now the silver / gray / blue succulents and lamium. Too many needles spoil the cloth. Too many parrots spoil the talk. Too many chapped lips spoil the gloss. Too many teasel burs spoil the paw. Too many bubbles spoil the froth. Too many doorbells spoil the knock. Too many seeds spoil the floss. Too many feathers spoil the claw. Too many lightbulbs spoil the moth. Too many holes spoil the sock. All edgy domesticity until the end, when ravening wolves and beheadings erupt. 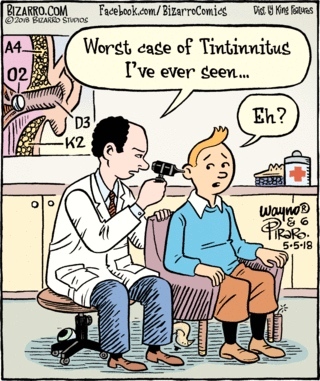 Tintin, the reporter and adventurer in the comics, suffers from tinnitus. tintinnitus: portmanteau in form, hybrid in semantics. Coming past me every so often on tv, a commercial for the Car Gurus company, in which the pronunciation of the company name varies from a clear car gurus, [ˈkarˌguruz], with a secondary accent on the first syllable of gurus, to something like cargaroos, [ˈkargəruz], with this syllable unaccented and its vowel reduced to schwa — indeed, including the intermediate variant [ˈkargʊruz], with that syllable deaccented and its vowel laxed but not reduced to schwa. Informed opinion has been very positive about the appointment of Mueller as special counsel to investigate allegations in the semolina affair. Commenters are generally agreed that Mueller is a respected authority in such matters, with a long public career in the field and experience in both semolina matters and the byzantine world of elbow-cheese casseroles. You are currently browsing the archives for the Pronunciation category.